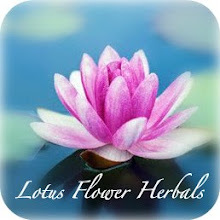 Lotus Flower Herbals: Make your own cleaning products! Making your own household cleaning supplies is easy. Most modern synthetic cleaning products are based on age-old formulas using natural ingredients that were passed down through the generations. Going back to the original, naturally derived, ingredients is a way to make cleaning products that work, don’t pollute, and save you money. Most are found in your kitchen cupboards. Mix and match with well-chosen and environmentally friendly green cleaning products now found in most grocery stores, and you can easily and simply transform your home into a non-toxic and safe environment for your family. As an added bonus, ounce for ounce homemade cleaning formulas cost about one-tenth the price of their commercial counterpart—and that includes worthwhile essential oils, and concentrated, all-purpose detergents for homemade recipes. Essential oils: Tea tree oil, Thieves blend, Lemon oil,and Purification blend. Simply pour about 1/2 cup of baking soda into a bowl, 3-5 drops of Lemon essential oil, and add enough liquid detergent to make a texture like frosting. Scoop the mixture onto a sponge, and wash the surface. This is the perfect recipe for cleaning the bathtub because it rinses easily and doesn’t leave grit, and the Lemon oil is antiseptic, as well as a clean scent. ~ADD 5-7 drops of Essential oils; Thieves blend, Tea Tree oil or Lemon; to the spray cleaner to make it antibacterial/antiseptic. Use in the bathroom, kitchen, or anywhere! ~use tupperware or recycle an old plastic container with a sealed lid to make antibacterial wipes. Just fill the container with strong washable wipes, or strong paper towels, folded up. Then fill the container with the all purpose cleaner + essential oil blend. Keep tightly sealed so the wipes don't dry up. Mix the ingredients in a glass jar. Dab a soft rag into the solution and wipe onto wood surfaces. Cover the glass jar and store indefinitely, you can also put into a spray bottle. Nothing natural works for pet smells, mold, and mildew as well as this spray. I’ve used it successfully on a moldy ceiling from a leaking roof, on a musty bureau, a musty rug, and a moldy shower curtain. We used this a lot when our puppies were learning how to potty train! It is also wonderful for near the kitty litter box! Thieves oil is strong, and a little goes a very long way. Note that the smell of the oil is very strong, but it will dissipate in a few days. Mix in a spray bottle, and use on linens, in closets, bathrooms, kitchen etc... I use Lemon in my bathroom spray for it's antibacterial properties, and Lavender in my bedroom, due to its relaxing properties. You can experiment with different scents.